Upgraded T410 bios, now have Ultranav problems. I just upgraded my T410 BIOS to 1.45; I don't recall the exact previous version number but I believe it was in the 1.30's. Since I've done this, two things have happened: the trackpad no longer works, and the Trackpoint is now very laggy/slow/jumpy; it looks like it only updates about twice a second. Here's a video of what it's doing. I'm using Windows 10 here in this video. The CPU load shown in Task Manager is very low, indicating it's not the computer itself lagging. Secondly if I boot the Windows 10 install CD, or an Ubuntu LiveCD, the same problem is happening, indicating that it's an issue with the laptop/BIOS itself, not with Windows. I found this while searching on here for the same problem. Though it's a different laptop/BIOS, maybe it's the same bug? Anyway the onboard Ultranav is now pretty much unusable on this laptop and I'm now stuck using an external mouse, any help would be greatly appreciated. Thanks! Re: Upgraded T410 bios, now have Ultranav problems. 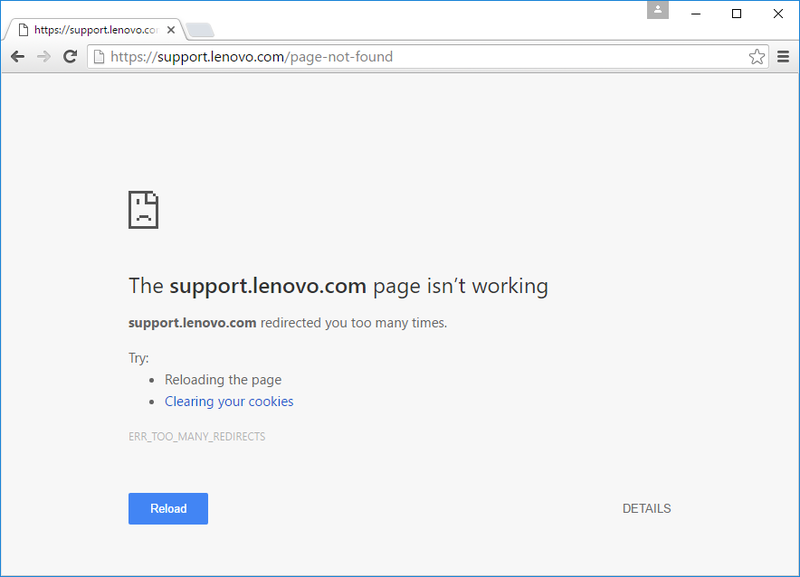 Also, I attempted to file a support ticket except the Lenovo website is doing this. Bumping this conversation because my Ultranav is absolutely unusable. And again, if I boot a Linux LiveCD, the problem persists. This is a hardware/BIOS problem, not a driver issue. Updating the BIOS caused the problem, and I have no way of fixing this on my end. OH! and now the website is working a bit better, however my serial number (xxxxx - both copied off the sticker on the bottom, and found in the BIOS) can't be found if I try entering it on the site. So I can't enter a support ticket! Seriously. Why'd I even buy this laptop? If you're convinced that the v1.45 BIOS update is the cause of your UltraNav issues, have you considered down-leveling your BIOS? Related question: was there a particular issue you were looking to solve by updating to v1.45? I spotted the available BIOS upgrade when I went looking for the battery recall tester. I upgraded for no particular reason other than it was the latest - I noticed the changelog for 1.44 added support for Windows 8, which made me think there might be something in there that Windows 10, or some underlying bug I didn't know about that's probably better off fixed. The trackpoint/trackpad worked prior to the 1.45 upgrade, and immediately stopped working. When I booted Win10 after the upgrade, I immediately realized "this isn't right..."
I'm in the process of trying lower and lower BIOS versions, so far I haven't found anything that makes it work again. So far down to 1.41, no change. If I correctly read the thread you linked in, there was some conjecture that the embedded controller program (ECP) version was at the heart of the issue. Looking at the back-level BIOS versions available to you, maybe BIOS 1.39/ECP 1.16 is a reasonable target. If that doesn't work, it looks like ECP 1.14 had a pretty long run included with BIOS 1.35 up to 1.38. Sorry that I can't offer more. Downgraded to 1.39-1.16 and now 1.38. Problem hasn't gone away. Putting on my engineering hat, I'm going to guess that some component in the laptop has been put into a bad state somehow as a result of the initial 1.45 upgrade. So it's just a matter of figuring out what. Guessing it's either the ECP or the Ultranav hardware. I doubt there's anything else that would cause the same issue. The ECP itself obviously has upgradable firmware, and based on conjecture in that other discussion, it's the first thing I'd finger. I have no idea if the Ultranav hardware stores any "state" that's preserved when the laptop's powered off, but I've got my suspicions it's no "smarter" than the PS2 mouse I'm using on my desktop right now. I'll try a few more things shortly. So far I've pulled the AC adapter and battery, but I haven't pulled the CMOS battery yet to attempt a "complete" reset.